Locating a hearing aid office near you can be such a helpful resource. If you’re experiencing hearing loss and are considering hearing aids, having someone local to you who can answer all your questions and help you adjust to wearing your new devices is imperative. 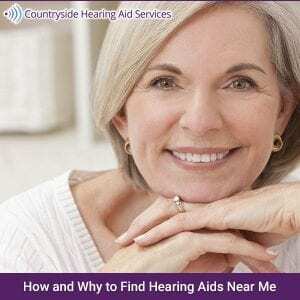 Do I need a local hearing aid company if I am a new hearing aid customer? If you are a first time hearing aid patient you will want to experience the personal touch that comes with meeting a professional hearing aid specialist that will be with you long-term. Don’t be fooled by adds on the internet that tell you it’s just as easy to buy hearing aids online and have them shipped to you for less than you might pay at your local hearing aid office. There is a science to the use of hearing aids. You will need to meet with a licensed hearing aid specialist who knows how to test your hearing and can show you the many options for the products in the marketplace that can help you to hear better. Meeting with a hearing aid specialist near you means working with a neighbor, someone in your own community that has your well-being at heart. When you’re out at the supermarket or a local eatery you might cross paths and he or she will be so proud to know that your quality of life has been improved by their working with you. To that person, you’re more than just a number or a dollar sign, you’re a valued patient who they look forward to seeing. What if I already have and wear hearing aids? If you have had hearing aids for a while, you know the value of working with someone local to you. Should you experience issues with your devices, need batteries, or need some adjustment, it would be unwise to work with a hearing aid company that is not in your very near vicinity. Imagine having to wait for your hearing aids to be shipped back to you from some company in another state or another country. Even having to drive to the next town or city with your hearing compromised due to issues with your hearing aids can cause discomfort, distress, and even accidents. This is why you must locate a reputable hearing aid office near you and establish a lasting relationship with the people who work there. You know the ropes. You know that having someone who is familiar with the type and brand of hearing aid you wear means saving time and money. They know what you need, have a history of working with you, and will be there when it’s time to get new devices or make changes. They will be the first ones to let you know if a new and improved product becomes available and will always work to ensure that you have the best hearing possible and the most comfortable fit as well. How do I find a reputable hearing aid company near me when I move to a new area? Everyone love Google. If you type, “hearing aid companies near me,” into your Google search bar, the answers will be at your fingertips. A list of the places that sell and service hearing aids in your new location will come up. There should even be a map to each store in your vicinity with distance and directions available. But there is one more thing you need to do. Check for reviews. Most stores of any kind, including hearing aid stores, will have reviews. Some will be found right on their Google listing, some on Yelp, and even more on Facebook or their website. Look to see that they have a good reputation. Peruse their website for information about their services, hours of operation, and staff. The main thing is to find a company you can get to quickly in times of need and establish a lasting relationship so you know you and your hearing will be well taken care of.